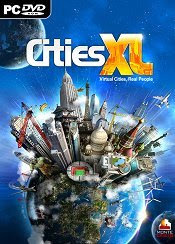 CITIES XL is the next-generation in city-building games, allowing gamers to develop cities on realistic 3D maps using an incredible collection of unique structures. Would-be Mayors are challenged to create the right combinations of social services, leisure activities, special events and job opportunities within their cities in order to feed, employ and entertain their citizens.Realism will be pushed to the limit with cities that are bigger, more realistic and more sophisticated than ever before. * Video Card: nVidia GeForce 8800 / ATI Radeon HD 3850 or better. 512 MB VRAM or better. Monte Cristo has announced that Cities XL is now available in stores across North America. The European version was released earlier this week. Monte Cristo released the Cities XL US demo, as announced about a week ago. You can check the list of mirrors on the official website. Monte Cristo reveals the contents of the Limited Edition box of Cities XL, which was recently delayed to October 9 in Europe. A North American release date is yet to be determined.